Lovers of West End and Broadway musicals are in for a treat when the 'Stars of the West End' show returns by popular demand. After 4 sell-out shows in March of 2017 Big M Promotions is pleased to announce that the show will be on at 6 venues in March. 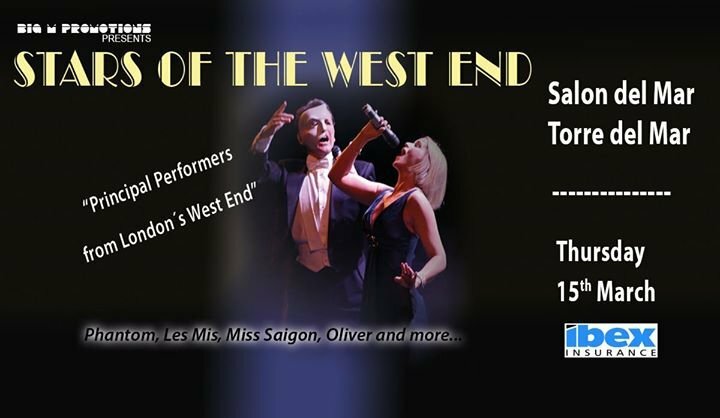 'Stars Of The West End', an entertaining 2 hour show, featuring the most popular songs from the best loved musical theatre. Musicals like “The Phantom of the Opera', 'Mamma Mia! ', 'Wicked', 'Les Miserables', 'Chess', 'Mary Poppins' and more. Kate Galston - 'Chicago' and 'Mamma Mia! '.